With Christmas fast approaching, you're probably attending quite a few neighboorhood, church, office, or school parties. With a lot of places to go, but not a lot of time, if you're like me, you're looking for an easy, but spectacularly fun treat to take. Cupcakes are super easy. 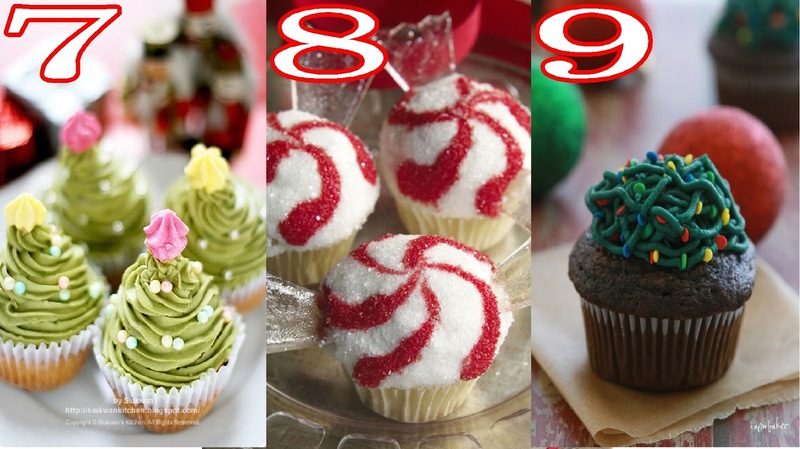 Hey, we've all got a box of some cake mix in the back of the cupboard, why not spice up your cupcakes with some of these fun ideas? 1. 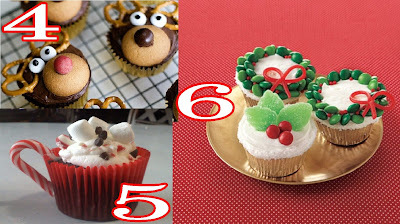 Easy Holly Christmas Cupcakes from Sweet Scarlet Designs flicker page. 3. North Pole Cupcakes from alisonsparksdecor Etsy shop. 5. Hot Chocolate Cupcakes from JCCupcakes flicker page. 6. M&M Wreath Cupcakes from Unknown. 7. Christmas Tree Cupcakes from Siukwan's Kitchen. 8. Starlight Mint Cupcakes from Hello, Cupcake! 9. Tangled Lights Cupcake from I Am Baker. 10. 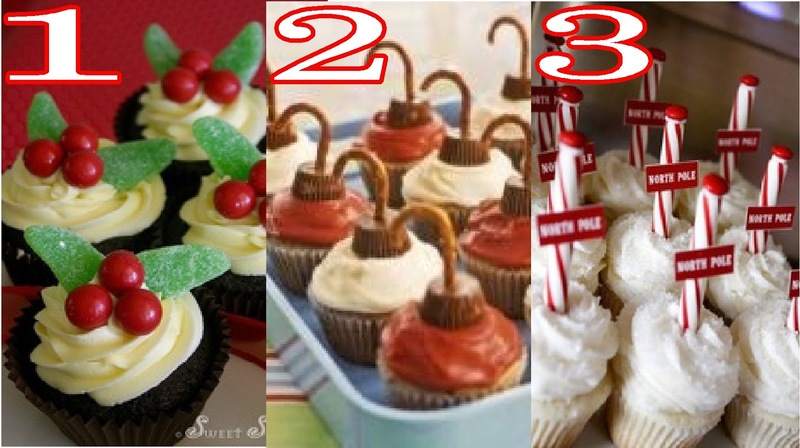 The Snowman Cupcakes we shared with you last year? !